Along with the typical trials of ensuring optimized product availability, visibility, and distribution in retailer stores, Consumer Packaged Goods companies now face new challenges caused by the digital disruption of the retail industry. On one hand, pure players completely redefine the way to approach shoppers as well as the experience behind acquiring fast moving goods with online shopping. On the other hand, CG manufacturers must continuously fight to increase profitability and revenue per available space in the stores. Today Consumer-Packaged Goods companies work with an array of different tools to ensure best-in-class retail execution and meet their company objectives. But, juggling with various tools can sometimes hurt sales operations’ effectiveness. An integrated Retail Execution/Image Recognition solution can bring CG manufacturers’ Retail Activity Optimization strategy to the next level and facilitate their sales reps’ activities. Interested in learning more about the value of a joint RE/IR solution? 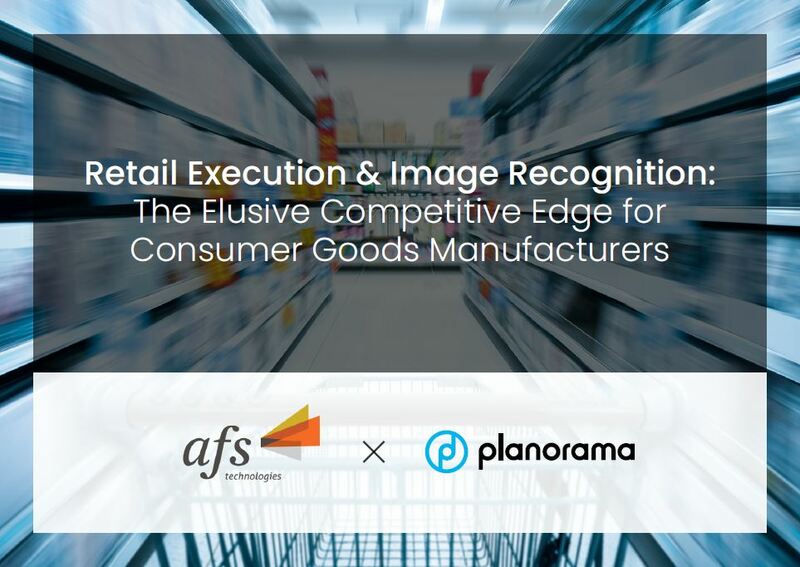 AFS and Planorama have joined forces by creating a joint white paper to help you understand why this type of application is a must-have in the retail industry. Fill in their quick contact form & get your free white paper right away.